Growing vegetables is both a pleasurable pastime and a guaranteed method of providing tasty, nutritious food for you and your family. 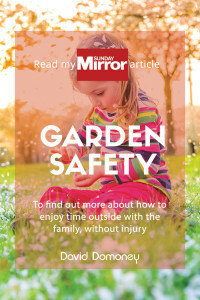 It is also a great way to save money on your shopping bills, so check in every month to find out which vegetable has made the cut and my useful tips on when to plant and harvest. 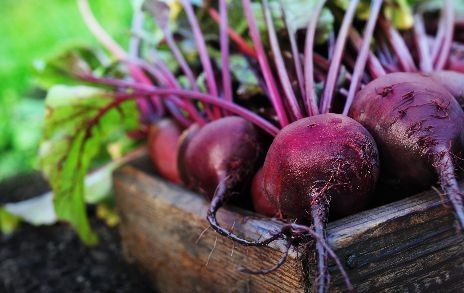 This month, my top champion of the vegetable garden is the brilliant beetroot­—a root vegetable that continues to amaze health experts with its nutritious value, while being easy to grow and utterly delicious! Beetroot is a taproot vegetable whose Latin name is Beta vulgaris, alongside sugar beets and chard. The beetroot itself is usually round and a deep red or purple in colour, with red or green stems and green leaves—these leaves are edible and make a brilliant substitute for spinach. And, for the out-of-the-box types, you can also find white and golden beetroots which will add panache to any plate. 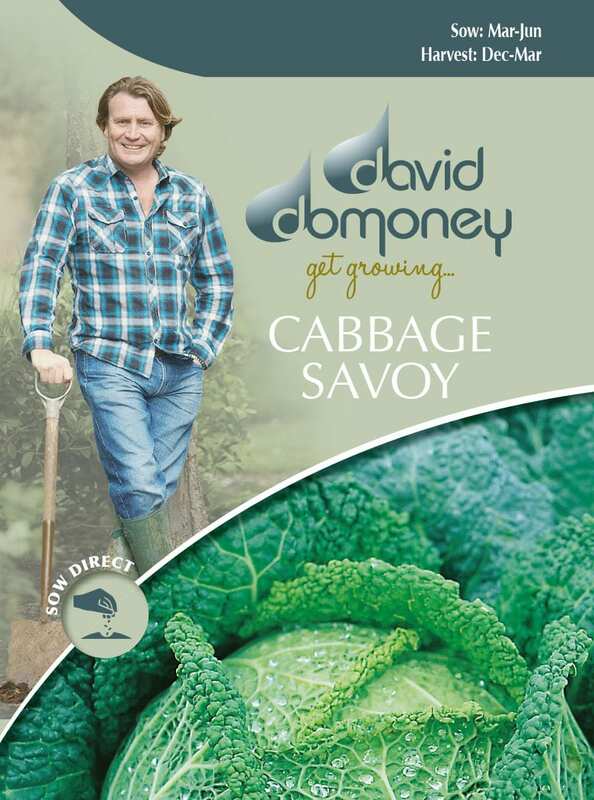 The ‘Solist’ variety can be sown outdoors from April to July and will be ready for harvesting from June to October. These are perfect for beginner and experienced gardeners alike, as they are easy to grow and can yield a sturdy crop. Sow seeds thinly at a depth of 2.5cm and space them 30cm apart, to give them enough room to flourish. Keep the soil moist and you should see seedlings within 7 to 21 days. 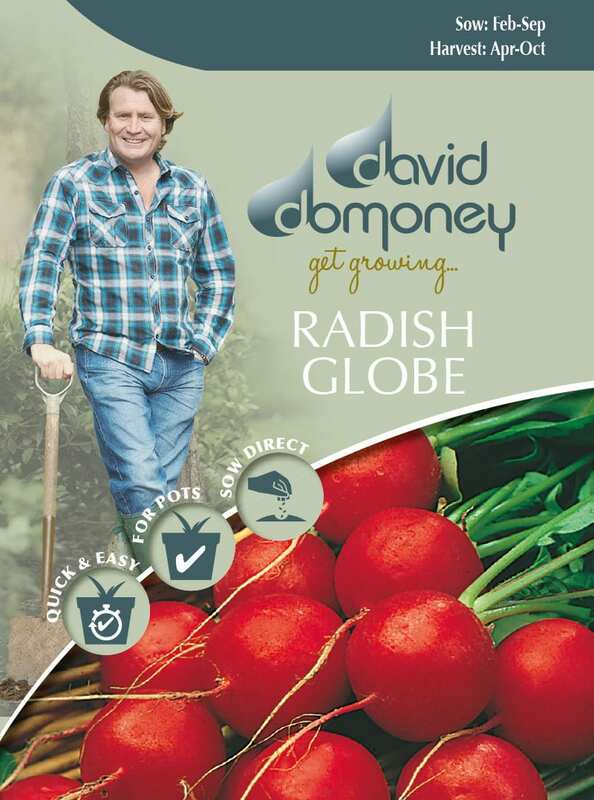 Your beautiful beetroots will be ready for harvest when they are around the size of a golf ball. 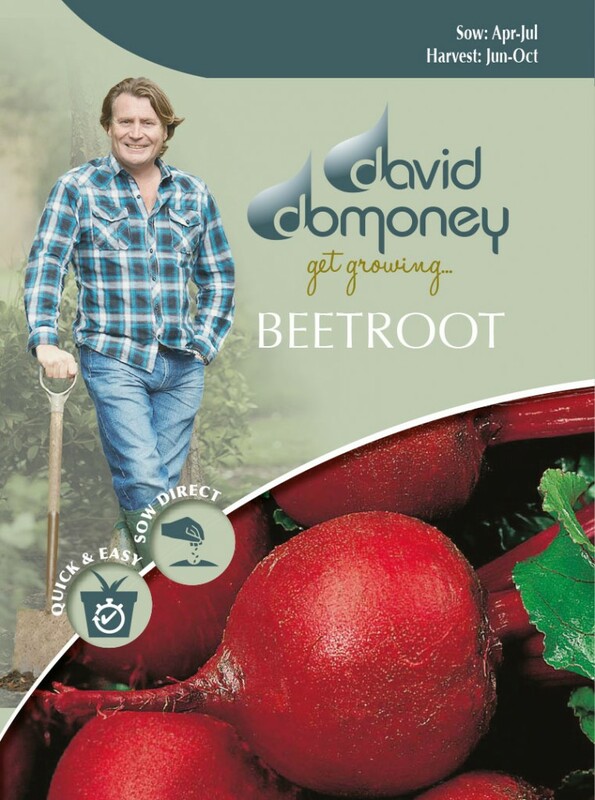 Check out my expert guide to growing your own beetroot for more information. Despite a long history dating back to Ancient Greece, beetroots are still making headlines in the news today because of the numerous health benefits they have to offer. In fact, studies undertaken over the last decade have revealed that the nitrates in beetroot are effective in reducing blood pressure which help to prevent heart disease and strokes. They’re often eaten to increase athletic ability—so for those of you on the go, these are the ones to grow. 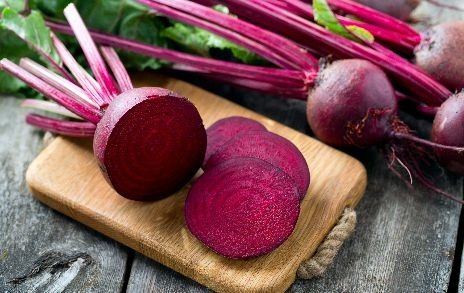 Beetroot is also an excellent source of fibre, which increases white blood cell count and, if you thought the list wasn’t already long enough, it also contains a rich source of antioxidants and glutamine—an amino acid which is essential to the health of your intestines. There are numerous ways to use beetroot in cooking across a whole range of cuisines. Versatile beets so well when they’re pickled, boiled, baked and even pressed to extract delicious beetroot juice. 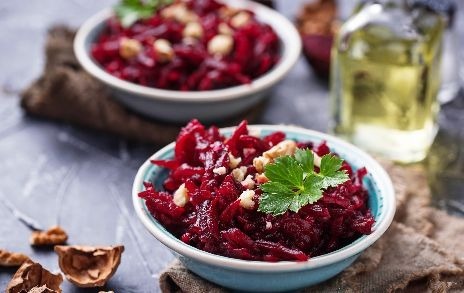 My favourite method is to incorporate chopped, cooked beetroot into a delicious risotto complete with garlic, onion and parsley to make the most of that unique earthy taste. 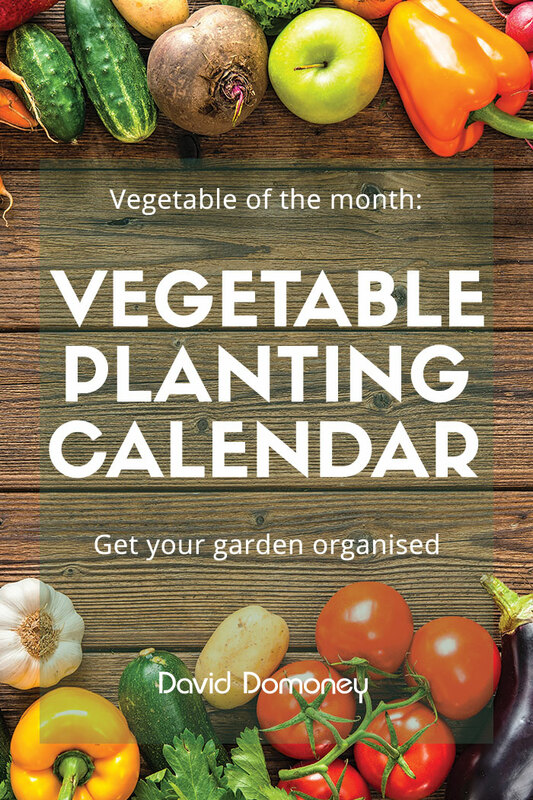 If you just can’t wait til late summer to dig up those taste beetroots, this month you can harvest radishes and spring cabbage. By the middle of April, you have full-access to an abundance of asparagus too. 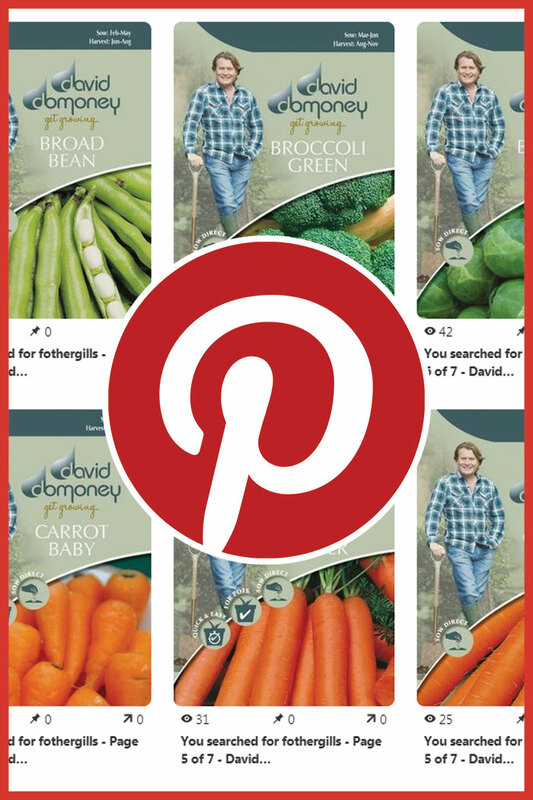 Any one of these amazing vegetables are delicious and packed with nutritious goodness, so get outdoors and start the harvest! Begin by preheating the oven to 200C and lightly grease a baking tray with oil. Then arrange the asparagus on the tray, removing any woody ends. Mix the olive oil, crushed garlic cloves, salt and pepper and then pour this evenly over the asparagus. 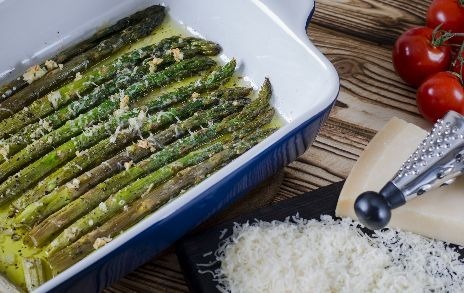 Bake for 10 minutes until the asparagus begins to become tender, before removing and sprinkling the cheese over the top. Cook for a further 5 minutes until the cheese is melted and golden brown in colour and serve immediately.